President Reuven Rivlin spoke at the ceremony announcing the winners of the 2019 Wolf Prizes. The Wolf Prizes are awarded every year for exceptional contribution to the sciences and arts. Professor Dan Schechtman, acting Chairman of the Wolf Foundation, presented the president with the decision of the awards committees. Minister of Education and Chairman of the Wolf Foundation Council Naftali Bennett also spoke at the event. The Wolf Foundation is an private not-for-profit organization which promotes excellence in the sciences and the arts. Every year, the president participates in the awarding of these prestigious international prizes to scientists and artists from around the world for their contributions to 'science and arts in the service of humanity'. Prizes are awarded in sciences (medicine, agriculture, mathematics, chemistry and physics) and in the arts (drawing and sculpture, music and architecture). Since their foundation in 1975, 336 artists and scientists have been awarded Wolf Prizes, of whom more than one-third then went on to win Nobel Prizes in fields where both prizes are awarded. The prizes are awarded this year for the 41st time by the Wolf Foundation, established by Dr. Ricardo Subirana y Lobo Wolf ז"ל and his wife Francisca who donated an initial endowment fund. "I am delighted to be with you today for the announcement of the 2019 Wolf Prize winners," said the president at the beginning of his remarks, "and to hear about the tremendous achievements of these wonderful people. Promoting excellence, excellence in scientific research and in the arts is one of the State of Israel's key goals. 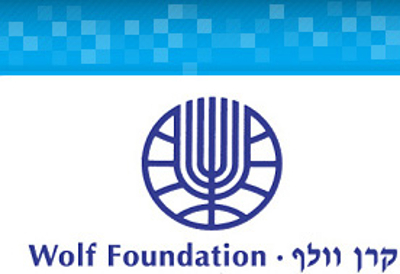 Through the Wolf Prizes, the State of Israel honors those who make an exceptional contribution, not only to their own professional communities, but to the whole world. The Wolf Prizes are Israel's best expression of our commitment to the Jewish value of 'tikkun olam', repairing and improving the world." The president spoke about the winners, saying "the names announced here today are masters in their fields. Each one of them has changed the world in some way, has taken us a step closer to a better world, a healthier world, a more beautiful world, closer to perfection. They are people who dared and succeeded in crossing the line between good and the excellent, between the familiar and safe and the new and ground-breaking. With all justification, they join the wonderful club of Wolf Prize winners, a prize given to the best of the best, each one of whom exemplifies excellence in his or her field." The president continued by expressing his disappointment that not a single woman was on this year's list of winners, saying "The Foundation would do well to make sure that each year they find a groundbreaking woman scientist and artist, who certainly exists, and award her a prize." At the end of his remarks, the president thanked the participants and wished success to the winners. Minister of Education and Chairman of the Wolf Foundation Council Naftali Bennett: "The State of Israel has made great advances in recent years in many areas - in science, security, economics and diplomacy. If Israel was once a medium-small country, today we are certainly on the map. The next step is to turn Israel in to an example to others. A country that people look at and say – we want to be like that. Becoming an example to others will happen because of hard work, scientific and technical achievements and contributions to humanity as a whole. But no less than that, it will require us to work within our country, to reach an understanding that we are all one family with a range of identities. One family with Jews and Arabs, ultra-Orthodox, secular and religious, with different views, different shades – and that this is a good thing. Of course there are disagreements, but we need to know how to manage them together, and we all need to adopt this way of thinking." Professor Dan Schechtman, acting Chairman of the Wolf Foundation: "choosing the prize winners was a difficult and complex task. The prize committees meticulously reviewed hundreds of candidates, each one leaders in their field. They were looking not only for proven achievements, but also expressions of original thought and their impact on other scientists and artists, and on society and on humanity."